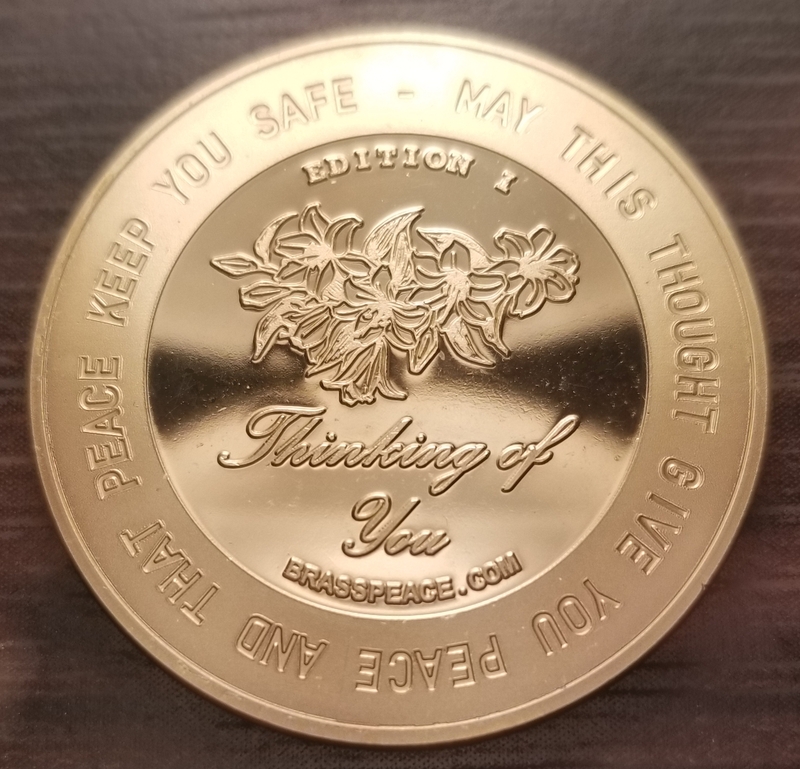 Another "Thinking of you" coin gift is sent to a U.S. Troop overseas. Funds "Hand-Written Letters to Troops" - Writing Events. Makes You feel Amazing... because you gave so much love to the world! 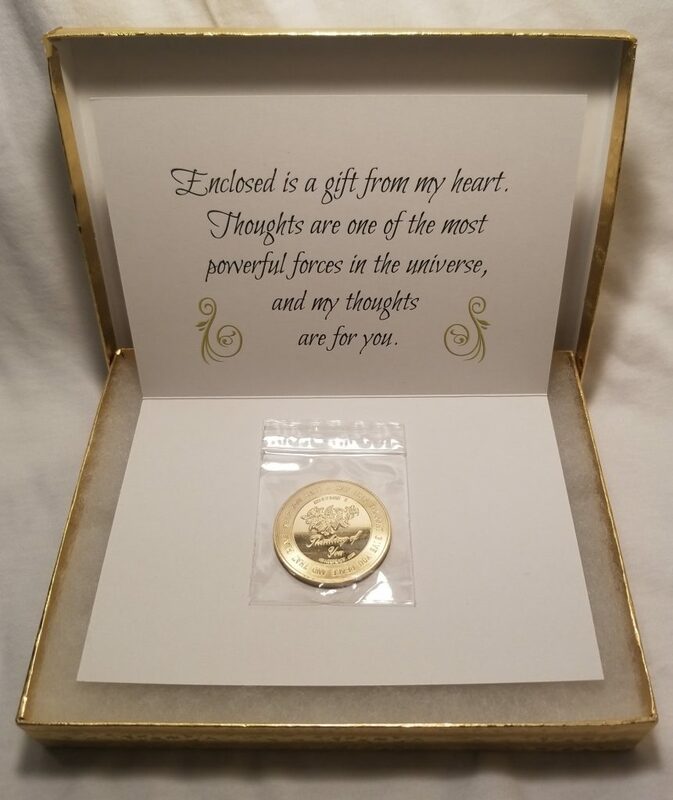 Half of each coin edition WILL be gifted to military personnel overseas in this way to let them know that WE the People care about them! Your gift recipient will get the same coin (39mm ~ 1.5 inch, solid Red Brass) and the same card the U.S. Troop will receive. 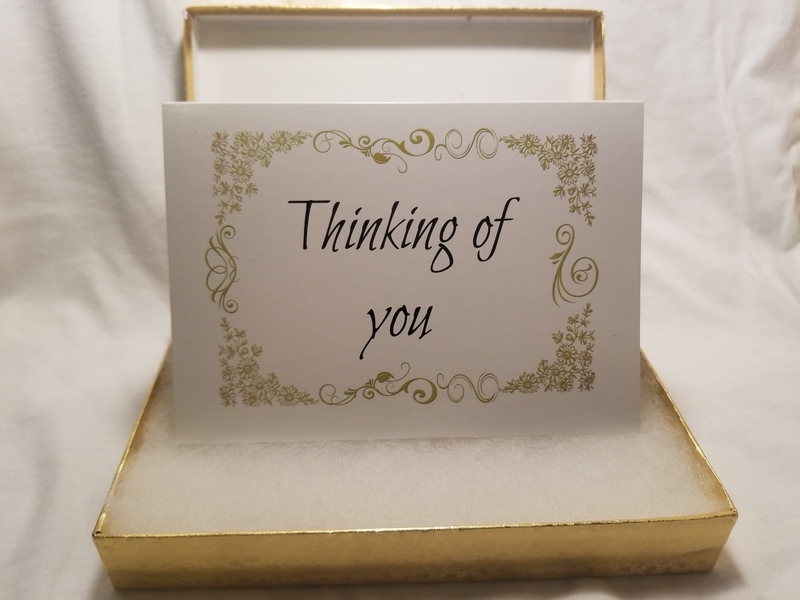 Your gift recipient will get your message. The coin is minted professionally by a 180 year old U.S. company who also made coins for Abraham Lincoln! A portion of the proceeds will be donated to Operation Gratitude [a 501(c)(3) non-profit]. Also, this will fund hand-written Letter Writing events (that we run) from U.S. citizens for our U.S. Troops to receive while on duty away from home. 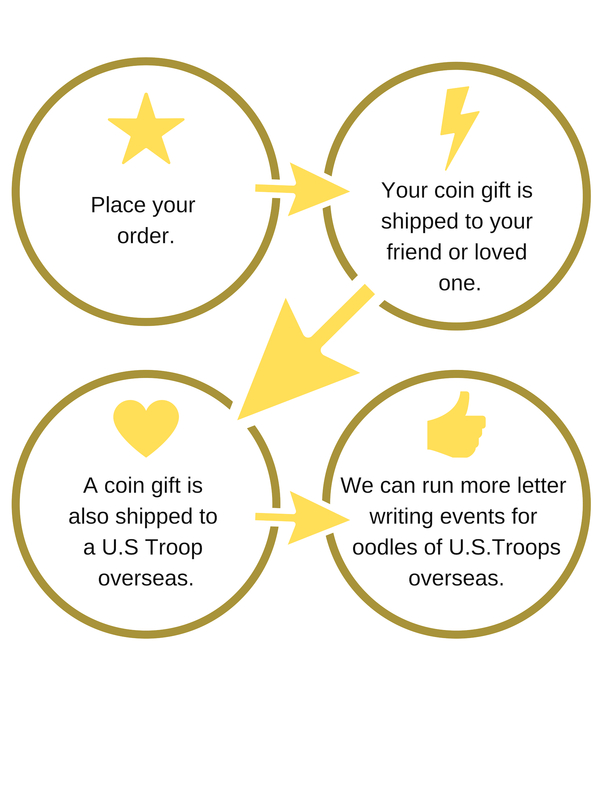 You will get email updates showing how your purchase has impacted thousands of troop's lives! You can feel great knowing you helped all this come together... Totally worth it! They get a boost in joy and morale. They find out they're not forgotten by us. It brightens their mood at the end of long hard days. 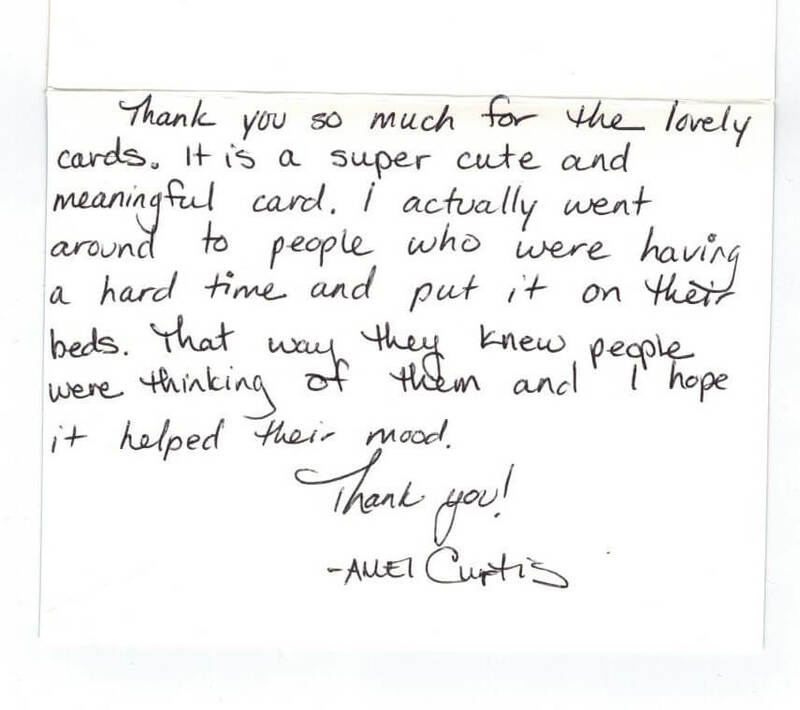 We've even seen that the morale from gifts from home has even helped in the battlefield! 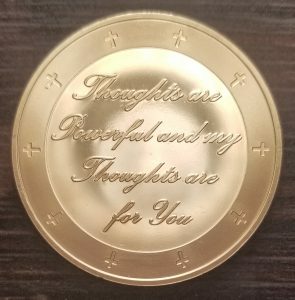 The coin gives them something to carry so they can remember someone's thinking of them. The coin may increase in value for them in the future. Note: Some Troops don't even have families. 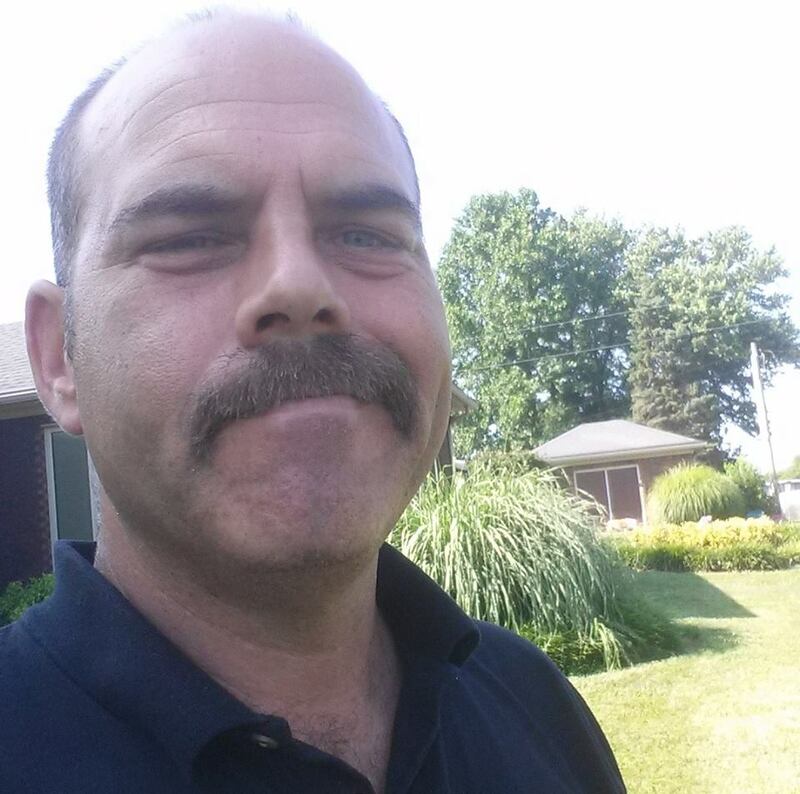 - the Troops being in the field all day, then coming back to base tired and beat. Then... imagine that moment when they open your gift. Now imagine when other U.S. 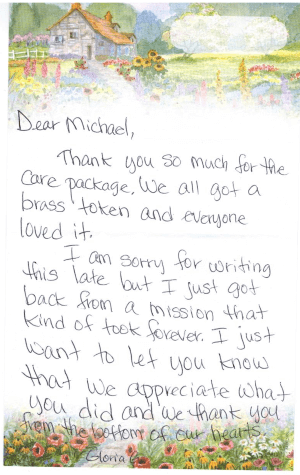 Troops open the many letters that were hand-written because of your same gift as well. Loving moments matter most in life! This is what's called - Creating Heaven on Earth. This is a limited edition and less than half the coins are available to the public, with designs for future coins in the works. I’ve been able to send over a thousand coins to U.S. Troops overseas… and their responses were amazing and heart-warming! My most favorite thing is that I love to encourage people! I want others to feel that too! President - Brass Peace Inc. Copyright 2019 - Brass Peace Inc.